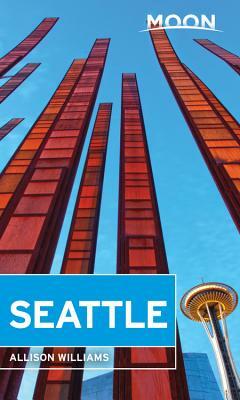 With Moon Seattle's practical tips and local know-how, you can plan your trip your way. Allison Williams received her bachelor's degree in biology and English from Duke University, and studied at Oxford University and an ethnobiology field school in Costa Rica. She worked as a writer and editor in New York City for eight years, including staff positions at Metro daily newspaper and Time Out New York. When the lure of the Northwest became impossible to ignore, she relocated to Seattle and has since realized two lifelong dreams: summiting Mount Rainier and poking sticks into the campfire without being yelled at. Allison earned her MFA in creative writing at the University of Alaska Anchorage, where her fiction thesis won the Jason Wenger Award for Literary Excellence. Her journalistic work has been recognized with awards from the Society of Professional Journalists and a nomination from the City and Regional Magazine Association. As senior editor at Seattle Met magazine, she covers travel and the outdoors by hiking every trail and driving every road she can find on a map.